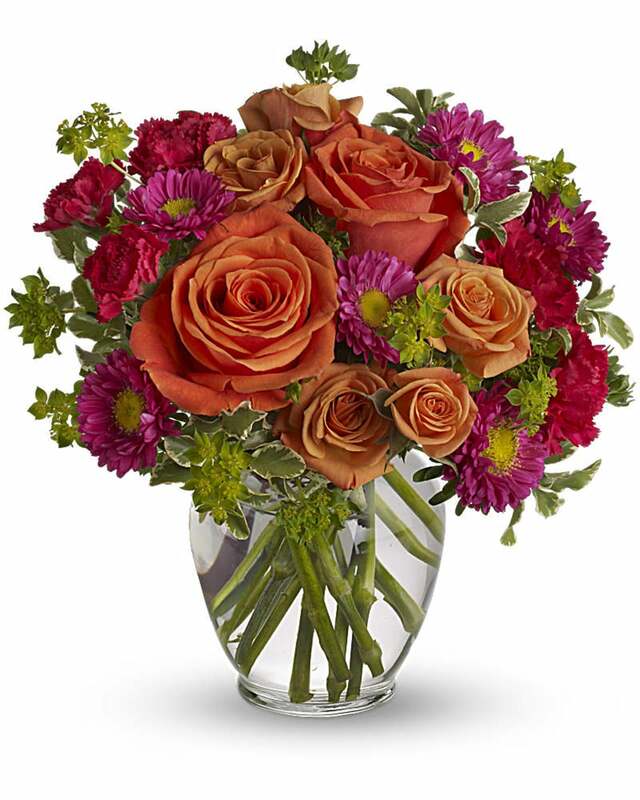 How Sweet It Is - How sweet it will be when this dazzling arrangement arrives at someone's door. 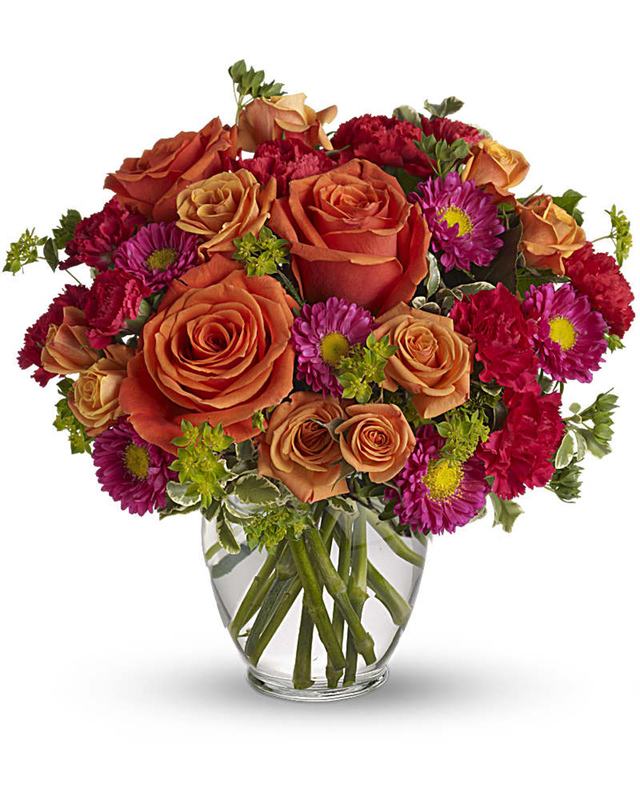 We combine orange roses, pink matsumoto astors, pink carnations, bupleurum, and other seasonal blooms to create a very vibrant, very vivacious and very, very pretty piece. 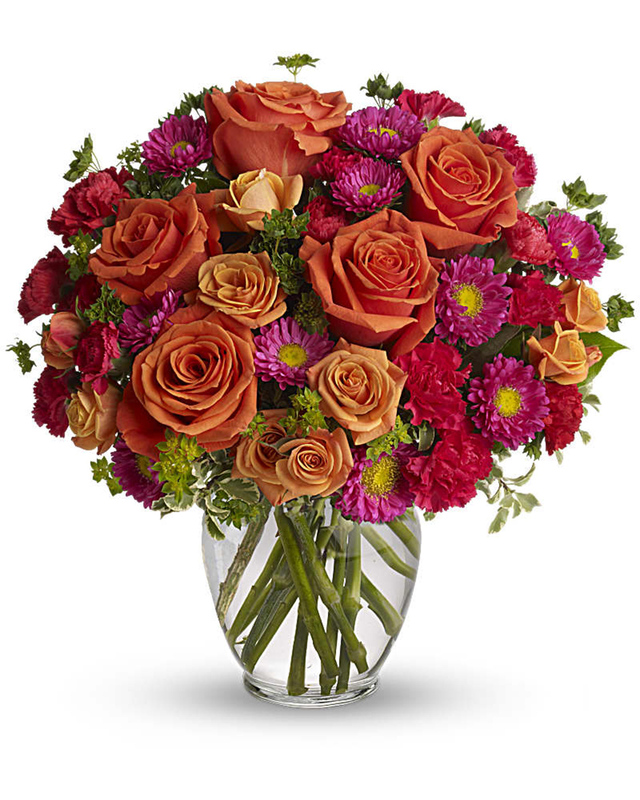 Approximately 12 inches wide by 12 inches tall.